The Bamboo cotton quilt is the perfect choice for those hot summer nights! 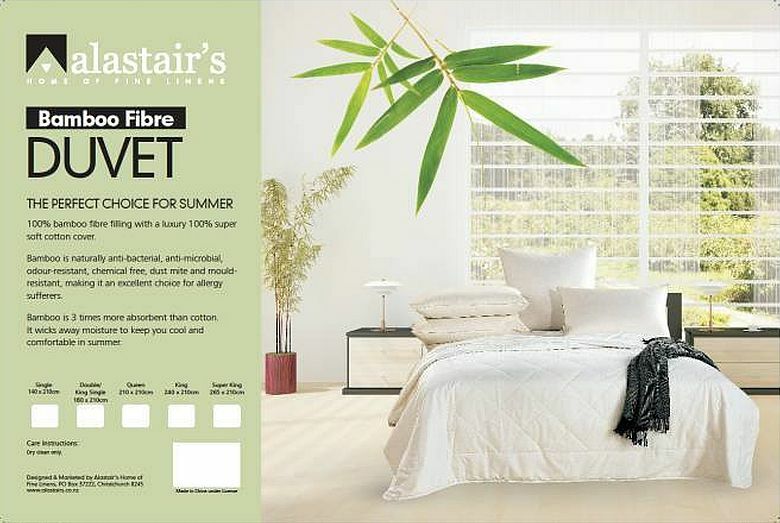 Bamboo is naturally anti bacterial, anti microbial, odour resistant, dust mite & mould resistant, making it an excellent choice for allergy sufferers. Bamboo is 3 times more absorbent then cotton, it wicks away moisture keeping you cool & comfortable in summer. The Bamboo quilt has a 100% super soft cotton cover with a diamond quilted 200gsm Bamboo fibre filling.